When it comes to putting your best foot forward, there is no limit to the lengths that we humans will go to in order to present our best selves. From Instagram filters to wrinkle-erasing apps to plastic surgery and body contouring, the presentation of the perfect image is big business, as we can literally capitalize upon our appearances. That we’d want to seem as put-together as possible is a natural response, because such images can relay a lot of information about ourselves and how we’d like others to perceive us: as reliable, easygoing, glamorous, well-read, edgy, or a million other adjectives. Your face is your brand. And this has always been the case, which is one of the reasons that artists for hundreds of years have been into the concept of self-portraiture. Besides providing themselves with an opportunity to paint the human figure with only a mirror and art supplies needed, such self-portraits could often be used as advertisements: look, I’m an artist!, they’d scream. Look how well I can paint! But in the Renaissance, one German artist took his self-advertisement to a whole new level and created a self-portrait that raised some eyebrows, got some tongues a-wagging, and that continues to make people angry, even today. Some people think that visual art is dry, boring, lifeless. But the stories behind those paintings, sculptures, drawings and photographs are weirder, crazier, or more fun than you can imagine. Today, we are continuing our season of episodes dissecting single works of art that shook their contemporary worlds, covering another painting that causes waves, even today. In this episode, we’re looking at Albrecht Dürer’s Self Portrait, from the year 1500. 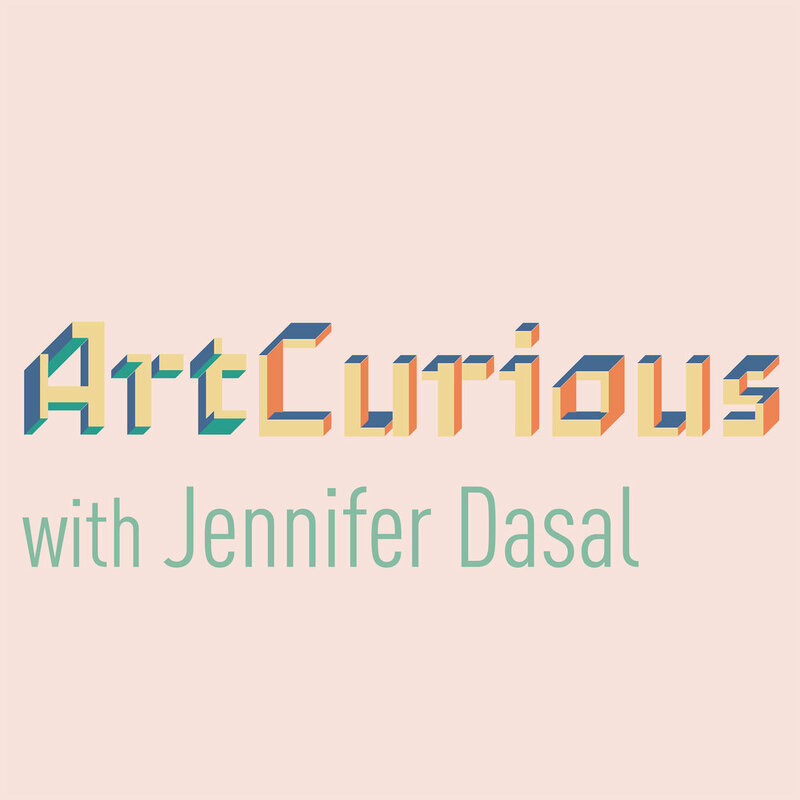 This is the ArtCurious Podcast, exploring the unexpected, the slightly odd, and the strangely wonderful in Art History. I'm Jennifer Dasal. Albrecht Dürer, born in 1471, was a painter, draftsman, printmaker, and writer in Germany who is known today as one of the top artists of the Northern Renaissance. His woodcut prints, for example, gained him recognition and a positive reputation by the time he was in his early twenties -- far earlier than most artists became notable in their lives, if they even become notable at all. To be fair, though, he had some good things working in his favor, not the least of which was the support of his godfather, who was one of the most successful publishers in Germany-- something that would pay off mightily in his exposure as a writer and as a printmaker with the ability to have his works reproduced and spread far and wide. Important, too, was Dürer’s trainings- first under the watchful eye of his father, a goldsmith, and next a three year apprenticeship to the painter and printmaker Michael Wolgemut, who taught Dürer the ins and outs of producing woodcuts, a medium in which he would eventually excel. This, combined with his godfather Anton Koberger’s publishing experience, primed young Albrecht to really get his works out there. And get out there he did. After a few years traveling continental Europe- especially moving through Switzerland, the Netherlands, and Italy, Dürer had honed his trade and been exposed to such great art innovations and styles that he was ready to begin a professional career as an independent printmaker and a highly skilled painter. By 1494, he had settled back in Nuremberg, where he married a woman named Agnes Frey and began scoring several large commissions. Contemporary documents from this time- including Dürer’s own letters and diaries, note the growth of his reputation and the widespread recognition that his works garnered, including significant projects for uppity-ups like the Holy Roman Emperor Maximilian I. Throughout the course of history, Albrecht Dürer is generally given slightly more praise for his prints than for his paintings, and to a degree, Dürer himself did, too, partially because printmaking was more lucrative. It’s easier to make a print, and less time-consuming, than creating an oil painting, which requires a lot of mixing of paint, of waiting for pigments to dry, and so forth. The drawing aspect of printmaking, before the print plate reaches the inking stage, allows for more freedom and some improvisation, and Albrecht liked that. And then, of course, a painting is a one-off, a single work of art that can then typically be enjoyed by one patron, unless it was an altarpiece for a church, for example, or a work of art meant to be shown in a public space. Prints, though, could be made in any number of print sets and then could be widely shared and disseminated, which truly did spread word of Albrecht Dürer’s talent and availability for commissions. That all being said, Dürer still loved to paint. Especially after his travels throughout Italy and the Netherlands in the early 1490s, Dürer found himself being pulled back to the medium over and over again, inspired by the innovations being made in the medium in the early phase of the Renaissance and using it to experiment with his own ideas. In 1493, Dürer began a small series of self portraits that would eventually consist of three separate paintings over the course of this early phase of his career. This first and second portraits were released with arguably no controversy. His final installment of his series in the year 1500 was, similarly, debuted to little fanfare. And so Dürer carried on, with the portraits mainly being for his own use, experimenting with body positioning, colors, and brushstrokes. It was no big deal. Just a self portrait. Right? Well, yes… and no. Three hundred years later, scholars and early art historians began analyzing works and making connections between Dürer’s 1500 self portrait and portrait styles that previously had been reserved for one figure only: and that figure was Jesus Christ. Hang with me here. To go into just how much Dürer’s image here is supposedly like historical representations of Jesus, I’ve got to describe what earlier images of Jesus did look like. Though there have been many different ways of representing Christ over centuries, one of the most common and most identifiable is a style known as the Christ Panokrator, or Christ the Almighty. It was an iconography that became widespread particularly in the Middle Ages, and is still a very common image among Orthodox Christianity. You can see it in frescoes and mosaics throughout the Roman Empire and onward, with one of the best examples available today in the dome of Istanbul’s Hagia Sophia, itself a former Christian Church turned Mosque. In general, the Panokrator looks like this: a half-length image of a very frontal Christ, who is, typically, rather Caucasian, gazing directly at the viewer, and typically holding a copy of the New Testament in his left hand. His right hand is elevated, and is usually posed in a gesture of benediction. It’s a powerful image, meant to connect deeply and directly on an emotional level with the viewer. And as the translation of the word Panokrator from the original Greek testifies, this is an image meant to represent Christ as almighty and all-seeing. Power is certainly the subtext here, and it makes sense, being that some scholars trace its origins from images of Greco-Roman gods, especially Zeus. So, how does Dürer’s Self-Portrait stack up against these older representations? That’s coming up next, right after this break. Now that we have a good idea of what these Panokrator representations of Christ looked like, let’s do a deep dive into Albrecht Dürer’s 1500 self portrait. First and foremost, Dürer himself is seated in a front-facing position, seen only from the waist up, or: half-length and very symmetrical. He looks directly out at us, the viewers, and we are helpless to do anything but look into his dark eyes which are themselves glancing just slightly off to the left, or to admire his beautifully abundant golden brown hair, which flows to his shoulders in perfect ringlets. He is somber, bearded, and holds his right hand up, nestling his long fingers into the fur-lined collar of his tunic. But his fingers are spread in such a way that it looks like something: could it be a gesture of blessing? All in all, there is something really familiar about the style Dürer has chosen to present himself here. He flatly does look like the stereotypical western view of Christ throughout art history. The inscriptions on the painting are equally interesting. On the left side of the portrait, atop a plain, background, Dürer presents his initials, an A nestled inside a D, his typical signature. That’s all well and good, but then there’s a possible additional link here to the commonly accepted manner of denoting time at this point in western history: the concepts of B.C., or before Christ, and A.D., or Anno Domini, used to denote a year after the birth of Christ. The shape of his monogram also mimics the shape of his own figure and hand in the portrait itself. But that’s not all. On the right side, Dürer inscribed a unique message - quote, “I, Albrecht Dürer of Nuremberg, made an image of myself in appropriate (everlasting) colors in my 28th year.” These words are located directly next to Dürer’s eyes, making them almost impossible to ignore if the audience even glanced at the painting. This final self portrait was finished just before Dürer’s 29th birthday; it may be of note that many believed, over the centuries, that Christ was told to have been crucified at age 29. It’s practically impossible to precisely date the death of Jesus, though many have tried for millennia, but the generally accepted theory today is that Jesus was probably around 33 or so when he died. However, everything from 29 to 35 has been bandied about for centuries, and a connection of Jesus to the age of 29 wasn’t out of the ordinary in Renaissance Germany. For me, these interpretations of the inscriptions are a bit of a stretch, but it is hard to know exactly, if anything, Albrecht Dürer was inferring here, because although he left behind plenty of documentation of his work and life over the years, he never wrote a single word about the creative choices he made in this rendering of himself. Leave it to the art historians, though, to jump in with some thoughts. Art history as a real field of study truly began in the later part of the 18th century with it hitting its stride in the 19th century, with scholars, especially in the German-speaking world, debating the merits of art and artists that had been around for centuries. The first academic evaluation of Albrecht Dürer’s 1500 self portrait came out of 19th century Vienna - to be specific, from a professor and art historian in Vienna named Moritz Thausing. In his study, Thausing claimed, quote “The commonly received opinion that he [Dürer] had the head of Christ is so far based upon correct observation; but it is a hysteron proteron, which, to be correct, should be understood in the reverse, viz. that our modern representations of Christ have Dürer's features.” To clarify, what Thausing is saying here, especially by using the term hysteron proteron, which was totally new to me, by the way, is that the inverse of something is actually the case here, arguing that Dürer’s representation of himself as Christ was so influential that other artists started to model their images of Christ off of Dürer’s Self Portrait. To me, Thausing got the last half right: Dürer’s work was lauded enough and has long been considered a German renaissance masterpiece, so it makes sense that artists throughout the following centuries would have looked to his portrait as a sample of how to model their own images of Christ. But, as we’ve already seen, Dürer himself wasn’t the originator of this stereotypical representation, himself having learned from those typical Panokrator images that had been around for centuries, even in Dürer’s own time. The link to Christ, then, was always there, in overt and recognizable ways. And several art historians have noted that Dürer even modified his own appearance in this portrait to really drive home that christ connection. Take his two previous self portraits as examples, his 1493 portrait now at the Louvre, and his 1498 portrait housed today at the Prado. In both cases, Dürer’s hair is still curly and lustrous, but it’s more of a reddish tone. Moreover, he’s represented himself in the traditional self-portrait style of the three-quarter view, which is that more typical way of partially turning the body towards the viewer. Think of the body positioning of the Mona Lisa, for example. So in this portrait, Dürer specifically chose to darken his hair to brown and to face the viewer front-on. He was no dummy. He specifically wanted to look like Jesus. And that passed off some in the early waves of the Christian revival of the late 19th and early 20th centuries. In the 1940s, for example, Erwin Panofsky, one of the most famous art historians of his time, referred to the 1500 self portrait as, quote, “blasphemous,” interpreting Dürer’s image as a full-on self-alignment with Christ, an identification of himself as God, or at least godlike. Whew, this concept did not go over well with some folks, as you can imagine. Portraying oneself as God? What arrogance, what rampant egotism, what sinfulness. There was even a crazy moment in time where viewers claimed that Dürer painted the reflection of a cross in the dark pupils of his eyes. I can’t see them when I scan in to high-res images, so take that one with a grain of salt, but you can see how an angry hysteria around this image may build. Still, there were other historians who stepped in and took a more theoretical or symbolic view and were a bit kinder to Dürer because if it. Many have argued over the years that Dürer may have been literally visualizing the concept of Imitatio Christi, or the concept of being a good Christian via the imitation of Christ. Naturally this, for many, means imitating Christ in words and in deeds, but what’s the best way for an artist to line up with this ideology? To present it symbolically in art, of course. And the changes in Dürer’s works, up to 1500, bear this out. In the years running up to the turn of the century, Dürer seemed concerned with proving his technical skill in both painting and printmaking. But around 1500, when this self portrait was made, he began infusing his work with a deeper focus on symbolism and spirituality- so much so that the meaning of some of his works, like the self portrait and also his tour de force print, Melancholia I, from about 1514, are still the topics of hot art historical debate. So, here, which one is it? Is Dürer proclaiming himself as God, as the ultimate creator? Or is he piously proclaiming himself a good Christian by literally embodying Jesus’s stereotypical and traditional appearance? Obviously, since Dürer himself was pretty mute on the concept behind this work, we will never truly know his intentions and the symbolism here. No matter the reason for his choice, Dürer’s Self Portrait, has influenced several artists and impacted art historians alike, both past and present. His bold decisions in representing himself as a Christ-like figure have beguiled, infuriated, and inspired. Though responses vary, it’s clear to see that Dürer wasn’t focused on critical reaction - only on showing himself the way he wanted to be shown. He was aware, deliberate, and talented enough to get away with it. Next time on the ArtCurious Podcast, we’ll discuss a truly scary and frightening painting that was possibly never meant to be seen by the public, and one that is still horrifying to view today. That’s coming up in two weeks-- don’t miss it. Thank you for listening to the ArtCurious Podcast. This episode was written, produced, and narrated by me, Jennifer Dasal, with additional writing and research help by Valerie Genzano. Our theme music is by Alex Davis at alexdavismusic.com, our logo is by Dave Rainey at daveraineydesign.com, and social media help is by Emily Crockett. Our production and editorial services are provided by Kaboonki. Video. Content. Ideas. Learn more at kaboonki.com.